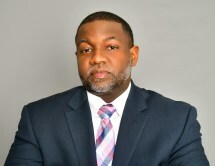 Our founder, Brandon J. Gibson, is a seasoned litigator with nearly 10 years of legal experience. He established our law firm with a mission to provide the highest level of advocacy possible to our clients. Passionate about the law, Mr. Gibson devotes his full attention to each case, delivering the personalized attention our clients deserve in order to achieve the results they expect. Regardless of the legal challenge you face regarding your personal civil rights, your rights as an employee or your business interests, you can trust The Law Office of Brandon J. Gibson, PLLC, to be the legal advocate you need. For a free case evaluation, you can contact our law firm to schedule an appointment. I am pleased to have had Attorney Gibson represent me. He was always professional, polite and thoroughly explained the legal process. His business acumen is impressive. I will definitely refer him in the future.